Christopher Khouri agrees to fly Detective Moore to a deserted cay in search of the ICT genius presumed responsible for wide scale disruption of national satellite communications. Christopher Khouri completed another fly pass over Great Goat Island without finding anywhere to land. Beneath him, an azure Old Harbour Bay moved in its own underground currents through to the Caribbean Sea. His passenger, Detective Avis Moore, a childhood friend insisted they go lower. “Make another turn,” she said, although, the only breaks in the green were glints of swamp water. Christopher checked the dials; they were already at 500 ft, much lower than regulations allowed for landing surveillance. He turned again, approaching the cay from the West, dropping the flaps to descend a further 100 ft. The cay’s thin white beach of powdery sand and small shells, quickly gave way to dense mangroves. At the last moment, Christopher spotted a slender radio tower directly ahead and swerved sharply away from it, pitching him and Avis sideways and causing the small taildragger to wobble. “It’s Mosquito Reggie,” said Mavis triumphantly. He approached the cay again, this time gaining an oblique view by dipping the left wing; there was a break in the mangroves just beyond a dune. It was the old military airstrip, and parked at one end was a single propeller plane. Aside from a few goats sitting in the shade of the dune, the runway was unobstructed. There was no air sock to gauge wind speed or direction, but the leaves of a solitary coconut tree wafted West, telling him that there was an Easterly breeze. He landed neatly into the wind, causing the goats to scamper into the undergrowth. 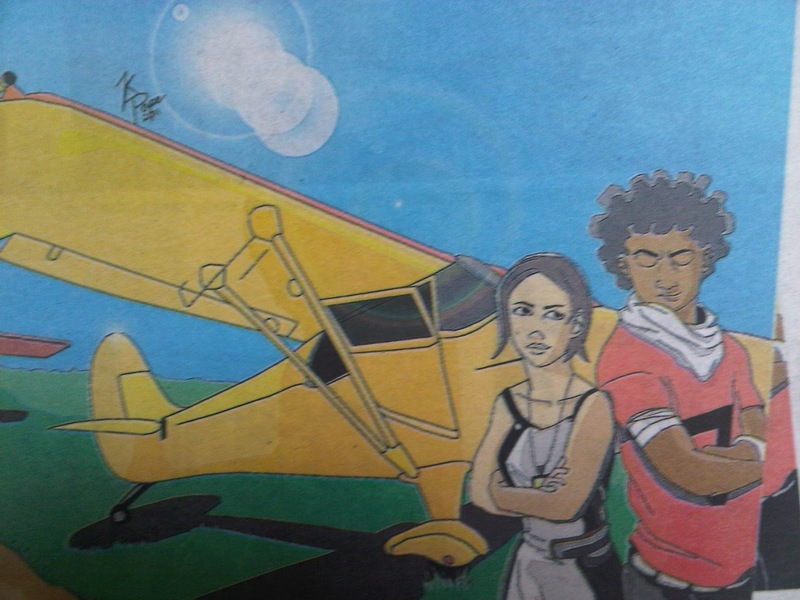 Christopher parked next to the other plane and he and Avis disembarked on the hot, smelly island; notoriously home to large spiders, bush rats, toads, crocodiles and manatees; but mostly wild goats. A wide footpath trailed the side of the dune and Christopher and Avis used it to advance further inland. They did not take Reggie by surprise because he spoke to them as they stalked through the dense bush. His voice sounded from above. “Stop being a pest Reggie,” said Avis. They raced down the trail to the runway only to see both parked planes fade and vanish in the steamy morning heat.